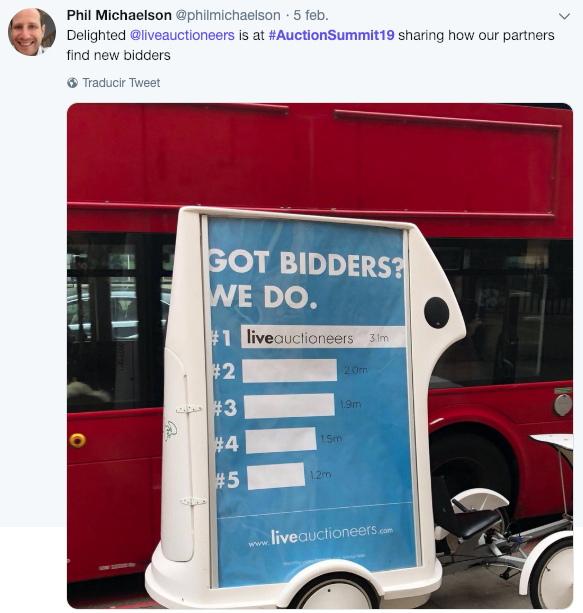 10 lessons of Auction Summit 2019 held in London - The Art Market. Arte online, ventas globales. We know the capitals of art, London, New York, Hong Kong, Paris, but we may not know that one of the companies that are most influencing the art sector, especially for art auctions, is in Boston. 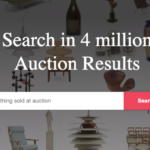 It’s called Invaluable, and it’s one of the largest “marketplace” in the world showing the offer of thousands of auction houses around the world in one place, with the added value of enabling streaming video streaming of all global sales and allow to bid in real time. 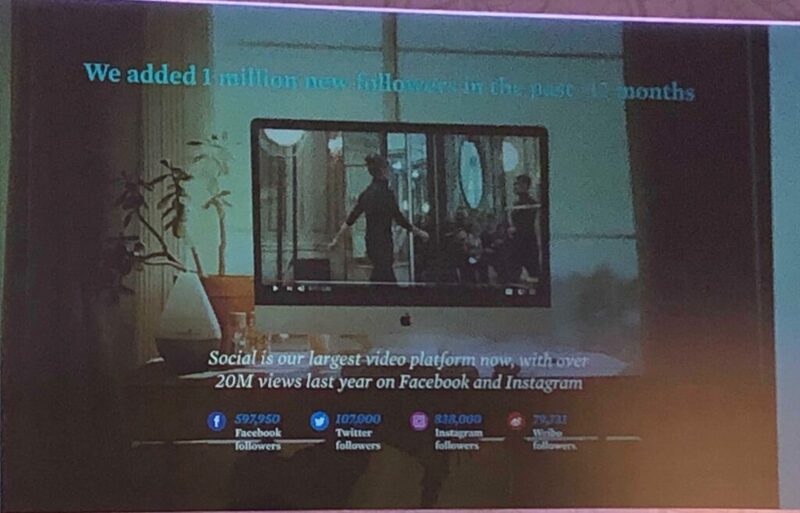 Two years ago, the auction sector was quoted in Boston invited by Invaluable at the first summit of the sector, last week the Bostonian company celebrated its second edition, #AuctionSummit19, in London and The Art Market was there. 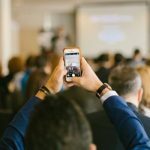 We want to share 10 fundamental lessons that we extracted in two intense days of presentations with some of the most vibrant companies and the main auction houses of the world, which told their experiences with the use of this technology “state-of-the-art”. 1.- Death (or evolution) of the paper catalog. For years it has been announced that the paper will not be necessary to promote auctions but Rob Weisberg, CEO of Invaluable, at the opening of the event showed full confidence in its gradual disuse, much fault has its confidence in the technology of Artmyn, company for which they bet and with which they collaborate: Artmyn allows to scan pieces of art to such a high resolution that allows access to levels of detail never before seen, and digital catalogs like this one made for Tajan can be generated. Artmyn uses special scanners that thanks to Invaluable will be located in different parts of Europe for the use of the main auction houses. 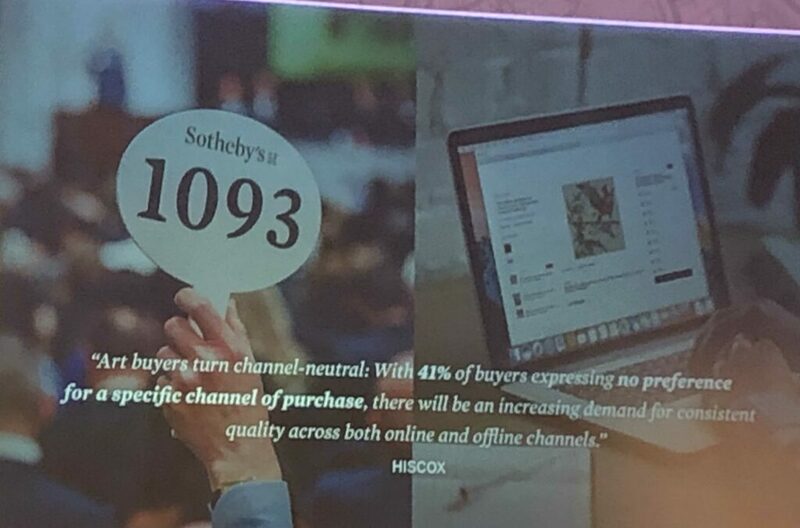 Bill Ruprecht, Chairman of Invaluable with a long experience in the world of auctions at Sotheby’s, opened the presentations explaining the impact that online sales are having on obtaining new customers: 40% of online sales are made by totally new customers. Contrast this data with another that explained: “10 families used to keep 50% of the business of an auction house traditionally”. 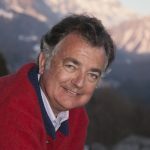 Algorithms and “machine learning” are not only used to create works of art such as “The Portrait of Edmon de Belamy” sold at Christie’s in 2018, Rupretch himself explained how on the website of Invaluable through the compilation of user data artificial intelligence is used to find valuable objects that are relevant to the client, they are sent automatic mails with alerts, etc; “It is impossible for any person to be able to do that job managing data from hundreds of thousands of users,” said Ruprecht. 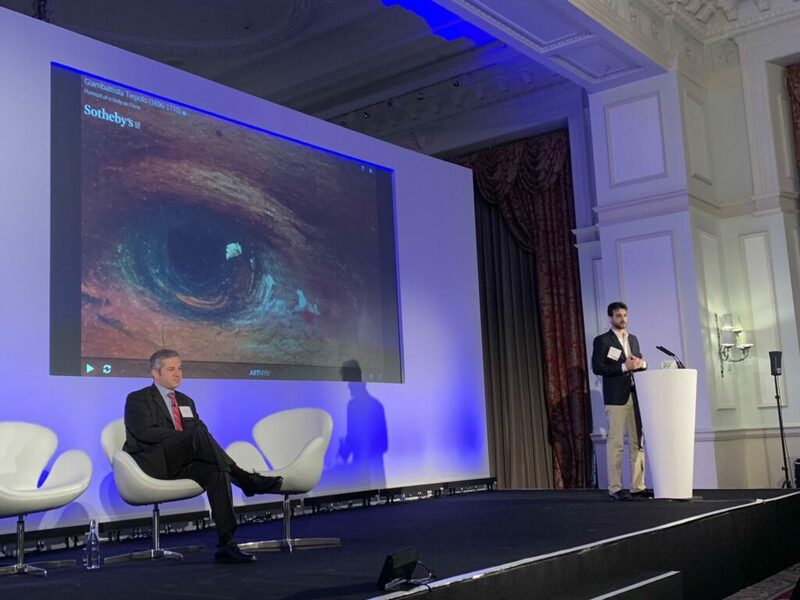 In another subsequent presentation, David Goodman, Executive Vice President of digital development and marketing at Sotheby’s, spoke on the same topic explaining that the purchase by Sotheby’s of the “Thread Genius” application will serve to launch a system of product recommendation to the client based on data patterns. It’s not science fiction, the algorithms know us better than ourselves as anyone who reads Yuval Noah Harari will know. Alexandre Catsicas, CEO of Artym, broke down the three great benefits of using his scanner in paintings: Experience, Promotion and Security. “The emotion through a screen is not possible,” explained Catsicas, “… until now, because with our technology we can use an infinite zoom, we can add music or voice over the photo of the scanned piece, you can see the piece with ultraviolet light”. Catsicas was supported at all times by Rob Weisnerg, CEO of Invaluable, who took the opportunity to reveal that hundreds of these powerful (and sensitive) scanners will be near the main houses of the world, some auction houses (based on the agreement they sign) may have them in their room available. According to some attendees, until now there was only one scanner in Boston and some auctioneers left with some star piece for their digital world. More than the whole presentation I was convinced by satisfied users, auctioneers of auction houses in the middle sector, and excited about the final result. 6.- Omni-channel (and agnosticism on the channel). Goodman said one of our favorite phrases of the event “we are agnostic in terms of channels”, which translated means that Sotheby’s strategy is multi-channel: they are present in many channels and do not believe in one that dominates the rest; They understand that customers move between channels, and little by little, they do not differentiate between offline and online. Both Phillips, Sotheby’s and, of course, technological companies such as Artmyn or Invaluable, spoke of the importance of experiences in the art world: beauty and desire for the object have always been an engine of the industry of the auctions and is intrinsic in every piece of art. Transmitting desire in the 21st century implies creating experiences around art that help new audiences to value, understand or aspire to have an object or become collectors. 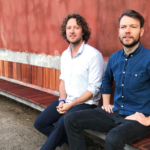 One idea that Goodman, Weisberg and other speakers encouraged through the presentations is that we have to look at what other industries and brands do (Disney, Airbnb, We Work … was mentioned) to adapt those stories and strategies to the world of art. A case that we think interesting to mention is that of the Danish auction house Bruun Rasmussen, which for the second year is used as a set for a reality show based on the daily life of the auction house: the program is called “The Auction House”, and in the words of Rasmussen’s CEO he has only generated advertising, branding and good news. Let’s take note! From the first day it was announced, and it was news, that we would not talk about blockchain, it was about virtual reality and augmented reality, but the final conclusion given by Sotheby’s, Phillips and Christie’s leaders is that even being useful technologies, they still do not see that they can replace direct experience, although they do understand that in marketing terms they can be very useful. We live in a complex world but that means that we must reduce all the frictions that a customer may have when buying art (logistics, transparency, ease of use …); The usability of a web page, of the systems that enable the client (alerts, suggestions) have to be refined to the maximum so that the experience is also simple. Golden rule. To conclude our ten lessons we would also like to record another golden rule that companies should follow: do not try to take advantage of other events to advertise. On the days of the Summit some young people distributed to the assistance some bags and merchandising of the main competing company of Invaluable in the United States, in addition responsible for this company used the tag of the event #AuctionSummit19 to be advertised. We really thought it was very unethical, at the same time unintelligent. Today we see Invaluable more leader and the other Boston company in tow from the great innovations that were announced in London. But time to time.